Tamil Nadu, one of India’s largest states and home to about 67 million people, is facing a severe drought, forcing many farmers to commit suicide as their crop withers. 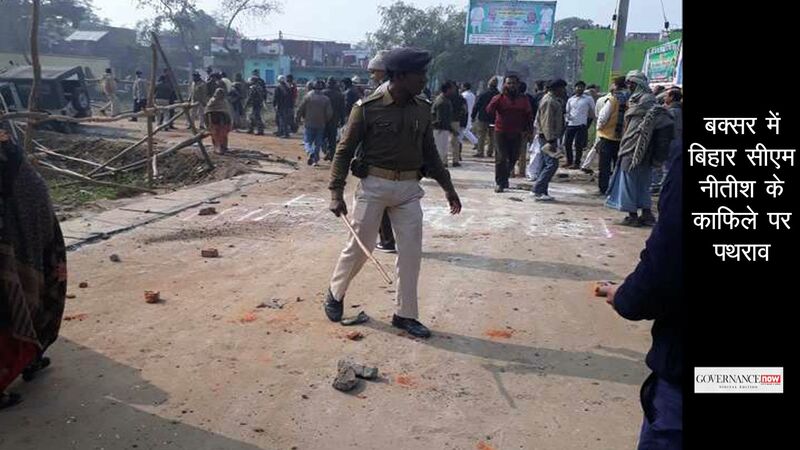 The state’s agony has been highlighted in the national capital where a group of farmers carried human skulls to draw attention to the unfolding crisis. According to Tamil Nadu’s public works department (PWD), there are 89 reservoirs in the state. Their total storage capacity is 238.58 tmc (thousand million cubic feet), but the availability of water in these reservoirs these days is 24 tmc. In other words, they are 90 percent empty, when the state needs 800 tmc for irrigation alone. “We are facing a severe drought [the worst] after a span of 142 years. Both southwest and northeast monsoons have failed miserably. We got only 32 percent of water. The state doesn’t have any water to overcome the crisis,” says S Thinakaran, chief engineer (water), PWD. There is going to be huge water deficit in the days to come, says S Janakarajan, president of the South Asia Consortium for Interdisciplinary Water Resources Studies (SaciWATERS). “But it is manmade. In 2015 the state witnessed historic floods, but as the state never bothered to save water at that time, we have historic drought now,” he adds. There are 3,600 tanks in the state and all of them are bone dry. The tanks went dry within a month of the 2015 floods. In February this year, the Chembarambakkam lake, which is one of the sources of drinking water for Chennai, recorded water that is barely 10 percent of its capacity. So, why did the state not store the 2015 flood water? Kanthimathinathan adds that the state has to forego agricultural activities for one season and stresses that until the next season sets in, nothing can be done. Even the industrial water use should be suspended. Currently, the state needs to focus on potable water, he says. As per the Tamil Nadu Water Supply and Drainage (TWAD) Board, it is supposed to supply 2,075 million litres per day for 553 river-based water schemes in the state, except the Chennai metropolitan area. “For the last several months, there is hardly any flow in the rivers. So, we are supplying 75 percent to 78 percent [of the normal water supply],” says a senior TWAD officer not wishing to be quoted. The officer elaborates that they have made a contingency plan for April and May. There will be construction of new bore-wells and water recharge wells. Also, new sources will be linked to the existing schemes to augment supply. “The problem is bound to worsen in April and May, so we are also trying to reduce water leakage in the state. Since most of the schemes managed by TWAD are river-based, we are seeing if some water can be released from nearby dams so that rivers can get water. But again the dams too have very little water,” he says. Adding to the woes is the dispute over river water sharing among states. Tamil Nadu claims that hardly any water is shared by other states. Tamil Nadu has been demanding release of more Cauvery river water, but Karnataka says it is not in a position to release more water as the availability with them is just enough to meet their drinking water needs. There is also dispute over the sharing of Krishna and Godavari waters. “Of all the five southern states, we are in the worst condition since we don’t have any perennial water source. The origin of the Krishna and Godavari rivers is in Andhra Pradesh, Cauvery is in Karnataka and Kerala has a number of small rivers which have more flow of water. We hardly get water for four months, which was not there this time,” says professor NK Ambujam, who is director of the centre for water resources, Anna University. 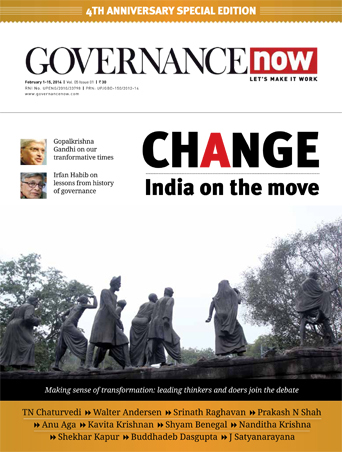 It cannot be denied that many water bodies have disappeared with the expansion of urban areas. So the state has no place to store water, he says. Water woes have badly affected Tamil Nadu farmers. Many are giving up any hopes and ending their lives. Among them are Natarajan, 75, of Azhianattam village, Keerthika, 33, of Thiruvidaimaruthur village, Aravind, 24, of Thiruvaiyaru village, Arulmary, 30, of Vadapathimangalam village, Raj Kumar, 36 of Semmanarkoil village, and Premanandam, 37 of Karambakkudi village, according to the list of farmers’ suicide compiled by the Coordination Committee of the All Tamil Nadu Farmers’ Association. The number of farmers’ suicide in the state is alarming. The farmers’ association says that since October last year to February this year, as many as 254 farmers in the state committed suicide. Farmers’ association president PR Pandian says that the reasons for farmers killing themselves are shock and trauma of seeing their crop withering, and pressure to repay the loans. Pandian says 12 districts faced drought last year, and the number has risen to 22 this year. Now the farmers have started using groundwater for irrigation in a big way, he adds. Janakarajan explains that there are multiple factors for farmers’ suicide, which include irregular monsoon, drought, and flood. Also water from upstream has been erratic, thus the ‘kuruvai’ or short-term crop in the Cauvery delta region has been completely lost. Many have to depend only on canal water, which again is very uncertain and delay in release of water postpones the agriculture season, which then coincides with the northeast monsoon and gets flooded. Besides the Cauvery delta region, in other parts of the state too distressed farmers’ are killing themselves. In Palar basin – Villupuram, Cuddalore and other districts like Tirunelveli, groundwater is the driving force. But there is progressive decline in groundwater. People are spending on groundwater, digging new wells and putting more bore-wells. This is adding to the financial burden of farmers. After 2005 the water table has gone down dangerously and is touching rock bottom in many places. There is increasing mismatch between extraction and recharge, where extraction is more than recharge. This in turn has increased the cost of irrigation and is one of the reasons for farmers’ indebtedness, points out Janakarajan. Tamil Nadu is facing water deficit this summer, says K Phanindra Reddy, principal secretary, municipal administration and water supply department, Tamil Nadu, as he talks about how the authorities are planning to meet water requirements. There is a 42 percent shortage in rainfall over the last two monsoons. Adding to the problems is the fact that Cauvery water and Krishna water has also declined, says Reddy. As a result the storage of water in the reservoirs and dams has hit a historic low. Tamil Nadu has invested heavily in water supply schemes in the past decade. Chronically water-starved districts like Dharmapuri, Krishnagiri, Vellore, Ramanathapuram, Virudunagar and others are covered with combined water supply schemes with Cauvery as the source. This is helping in reasonably ensuring water supply even though these schemes are running at 70 percent of their capacity. In order to tide over the shortage, the local bodies with the financial assistance from the state government have taken up many drought mitigation works such as creation of bore-wells, water recharge wells, mini power pumps and extension of lorry water supply. “We hope to tide over the present crisis,” Reddy adds. Just two years after a massive flood ravaged Chennai, the locals are now facing a hard time in the absence of adequate water supply. Kasipuram block in Kasimedu locality of Chennai has hand pumps installed at every 50 metres, but all are running dry. “For the past five months we are facing water shortage and now the situation is such that we are not getting even a drop of water in the pumps,” grumbles 35-year-old Kalai. In frustration she again tries pumping water, but to no avail. “We are dependent on a tanker which comes once in two days. The residents have complained at the water office but no concrete action has been taken in this regard,” says 40-year-old Senthil. While Kalai and Senthil are sharing their woes, Vaidehi, 22, runs towards a blue plastic drum that is used to store water. She shows an empty drum. 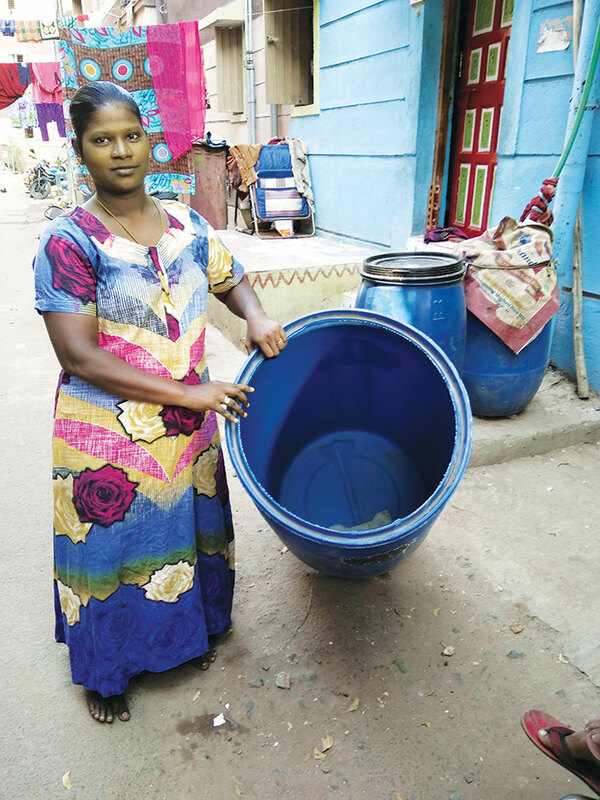 More such empty drums are placed in the narrow street of Kasipuram block A. The empty drums tell the same tale, ‘no water’. Kutty, 25, is worried about how long these tankers would be able to meet the requirements of the people. Not far from Kasimedu is Tondaiarpet locality. Here the residents are getting sewage water in the taps. After repeated complaints, they are getting water tankers now. Every alternate day at 4 in the evening, women of New Amaranjipuram street in Tondiarpet are seen rushing to the tanker with the buckets. “This year the situation is very bad compared to the previous year,” says Joan Fransz, 47. Valli, 35, Umavathi, 40, and Manju, 25 of YMCA Kuppam street too voiced their grievance. Amir Basha, 59, of Kutty street in Royapuram locality says that water tanker comes on alternate days. Every household gets three buckets of water for '2. 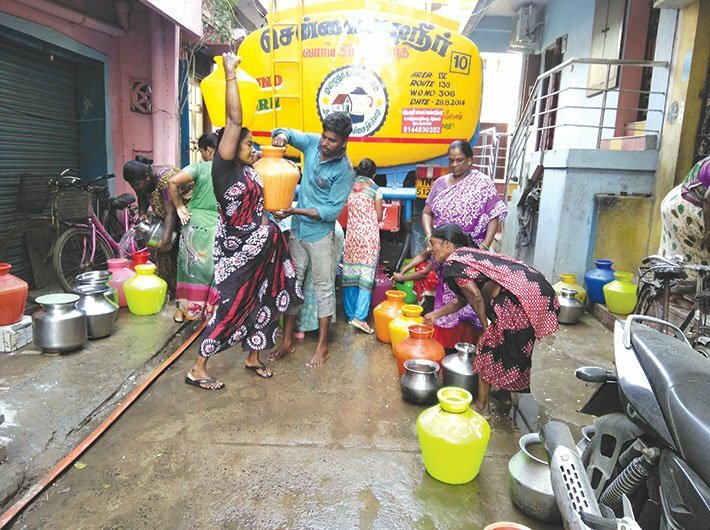 Asked what is being done to meet the immediate requirement, the Chennai metropolitan water supply and sewerage board says the demand of water supply in Kasimedu and Tondaiarpet area is about 9 million liters per day (MLD) and water is being supplied through pipeline in these areas. The other parts of the city too are facing a water shortage. Officials admit that the combined storage in the four reservoirs providing water to the Chennai city was below 15 percent in the first week of March itself. Wetlands such as Pallikaranai are going dry with the onset of summer. Authorities say they are supplying 500-550 MLD. But, there is water leakage and theft. Adding to the woes is illegal groundwater extraction leading to further depletion of the water table. Reddy says as far as Chennai is concerned, there are two desalination plants providing about 190 MLD. The government has also contracted agricultural wells to draw about 100 MLD. “We are drawing about 60 million litres through the Veeranam pipeline from the wells in Neyveli area and Paravanar river. We have identified potential to draw 3,000 million litres from 22 abandoned quarries located south of Chennai,” says Reddy. The situation was very comfortable last year due to the spillover effect of the December 2015 floods.